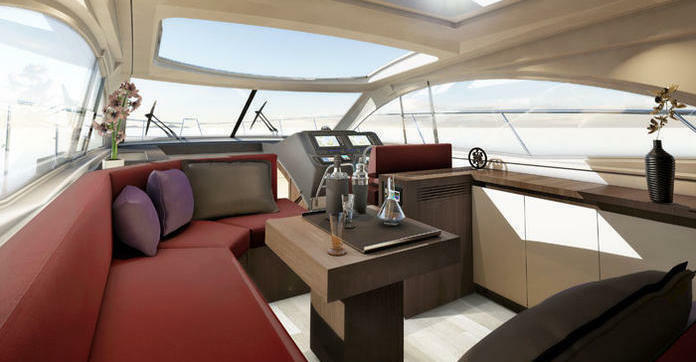 In the cockpit, the addition of air-conditioning (on option) in the Gran Turismo 44 will bring down even the hottest temperatures, and make the time you spend relaxing at anchor even more pleasant. And on all the models, to maintain a cool interior, you can now put an exterior curtain on the windscreen. To make lazing in the sun even more pleasant, the sunbath has been improved. The back now lifts so that you can lean back against it and feel as comfortable as you would on a sun lounger. Lastly, on the Gran Turismo 34 and 38, you now have the choice between 2 sizes of bathing platform. 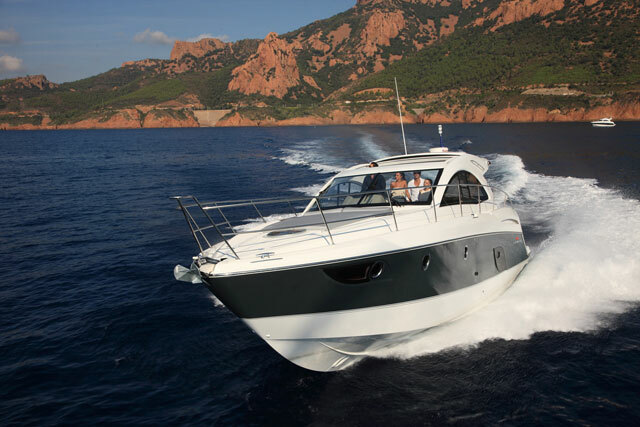 Beneteau have increased the size of the original version to make access to the sea easier, to optimize the manoeuvres with dinghies and create a new convivial living space. This new version is now available on option. 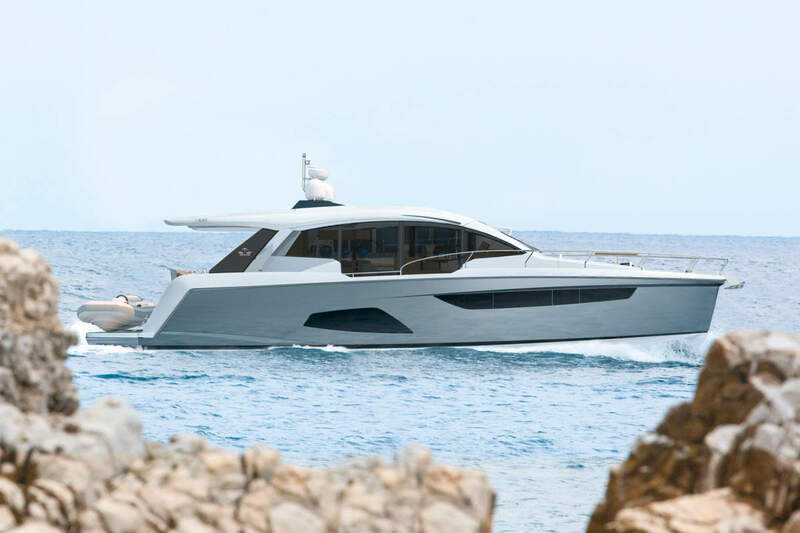 Inside, the Gran Turismo 44 and 49 have been given a complete makeover. 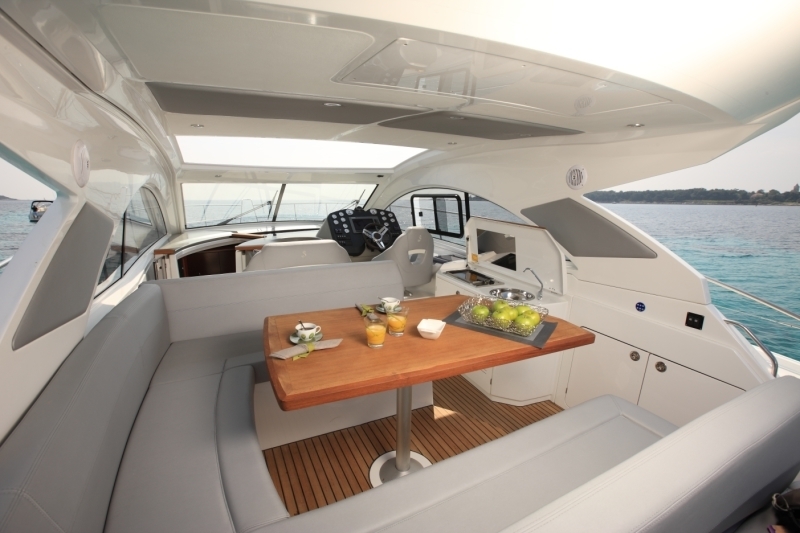 On the 44, the interior is now available in Alpi Walnut woodwork, in the image of the 49. On these 2 models, top-of-the-range coatings and ceilings from Majilite are used. 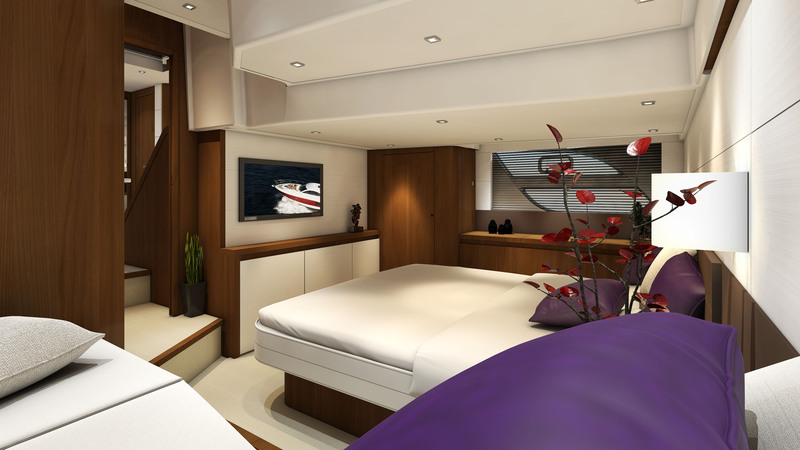 And in the wheelhouse, the galley and the bathrooms, a cream-colour lacquered finish (option) is offered as an alternative to lacquered white. Throughout the range the choice of indoor and outdoor upholstery has been re-examined to be in phase current trends. As of now a new choice of hull colour (on option) is offered, between ice white, grey blue and wine colour. 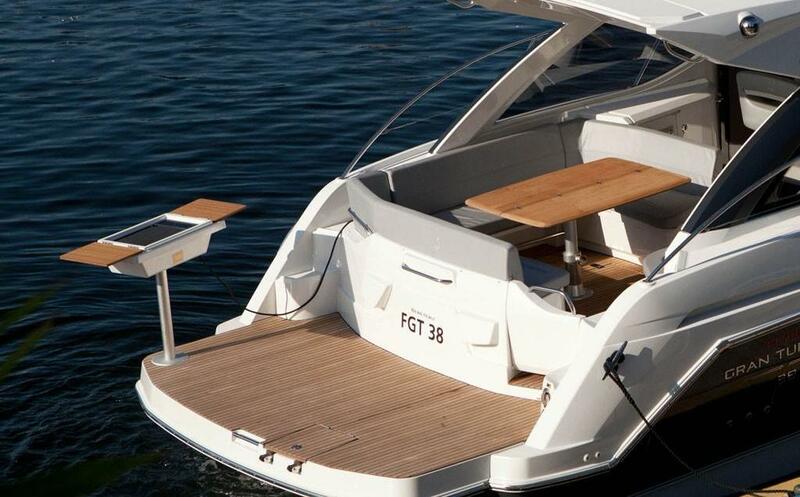 All these new developments can be discovered in real life during the autumn boat shows.